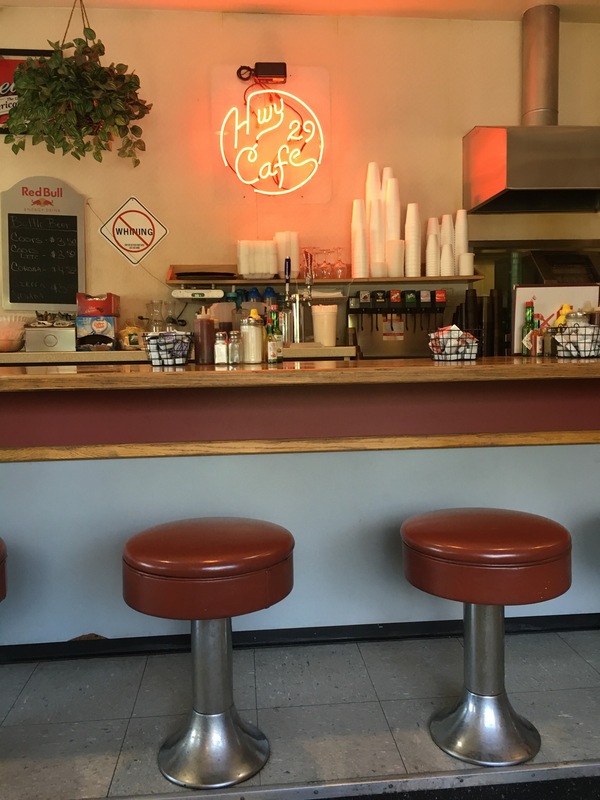 The Hwy 29 Cafe has been around for well over 50 years – what once used to be a small roadside truck-stop has now more than doubled in size and popularity. 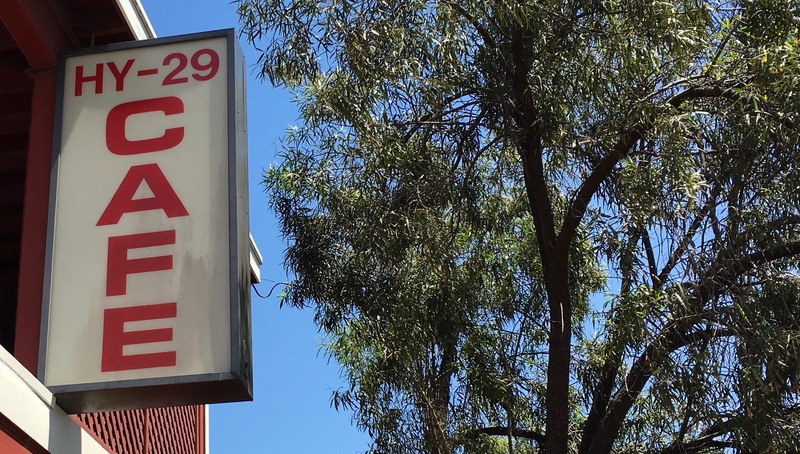 But what’s amazing to us is how many people we come across from the San Francisco Bay Area who have never eaten here… or for that matter, have never even heard of it. We’ve been going there for over 20 years! Portions are huge so go with a hearty appetite. 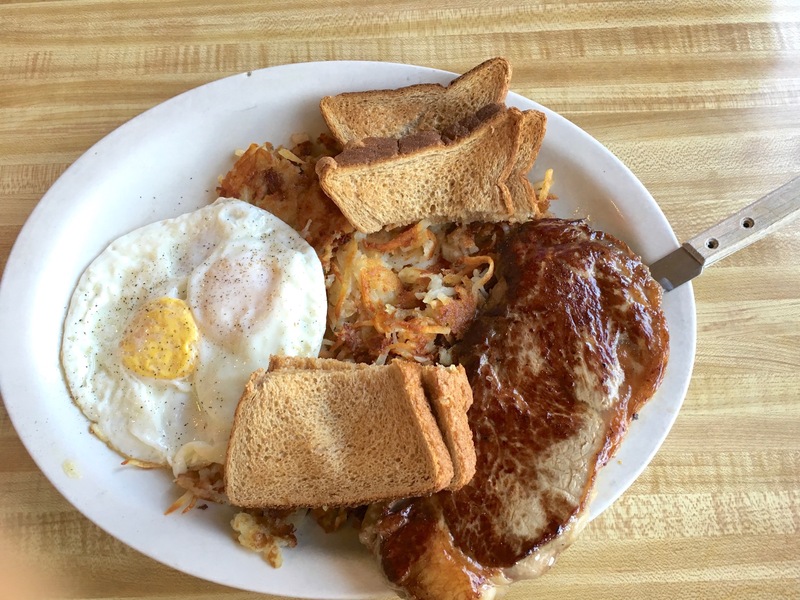 Our favorite breakfast is the NY Steak & Eggs with hash browns. Just look at the size of that steak! Tip: When you place your order, ask them to make the hash browns extra crispy – they’re sooooo good! 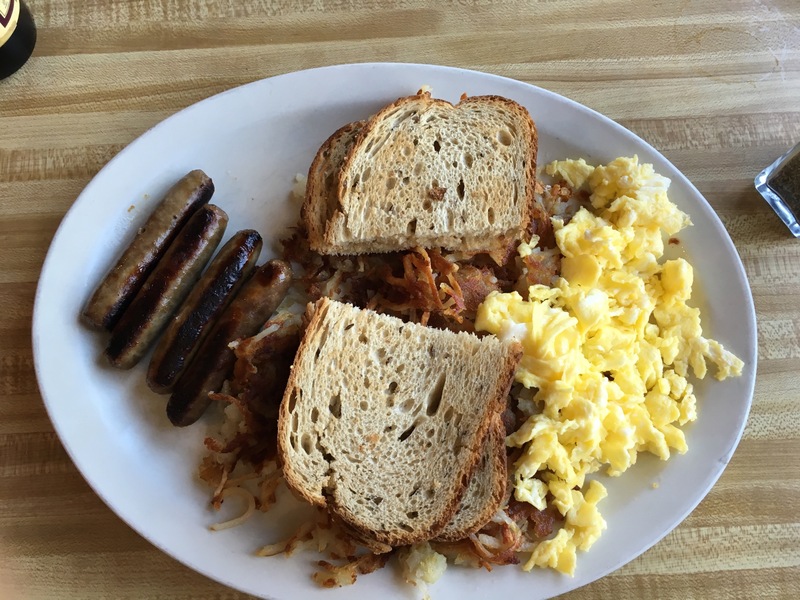 Other favorites include Bacon & Eggs, Ham & Eggs and Sausages & Eggs, French Toast and wonderful Omelets, all filled to the brim of the plate – you won’t leave hungry. Lunches are a good bet too – juicy burgers, delicious sandwiches, BLTs, fresh salads and traditional Fish & Chips. Hwy 29 Cafe is open for breakfast and lunch. Mon, Wed-Sun 7am-2:30pm; closed Tuesday and Holidays. No reservations… and as you can see in the picture below, no whining! Expect a wait during peak season and weekends. 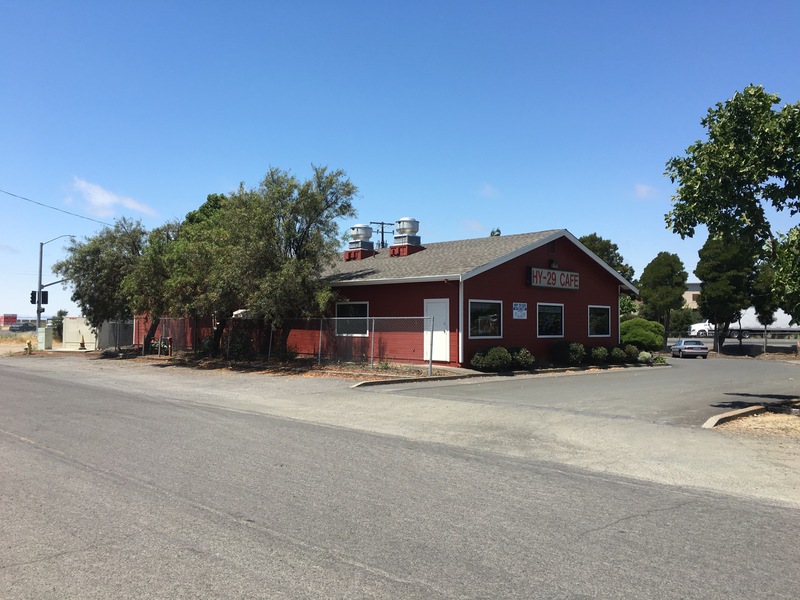 From San Francisco, take 880 North to 37 – the Hwy 29 Cafe is about a 10-minute drive from 37 and Hwy 29. As you’re driving up Hwy 29 (north), look for South Kelly Road (and traffic light). Make a right on South Kelly Road and take the first sharp left turn – look for the red cafe building and Hwy 29 Cafe sign. The address is 101 Cafe Court, American Canyon. 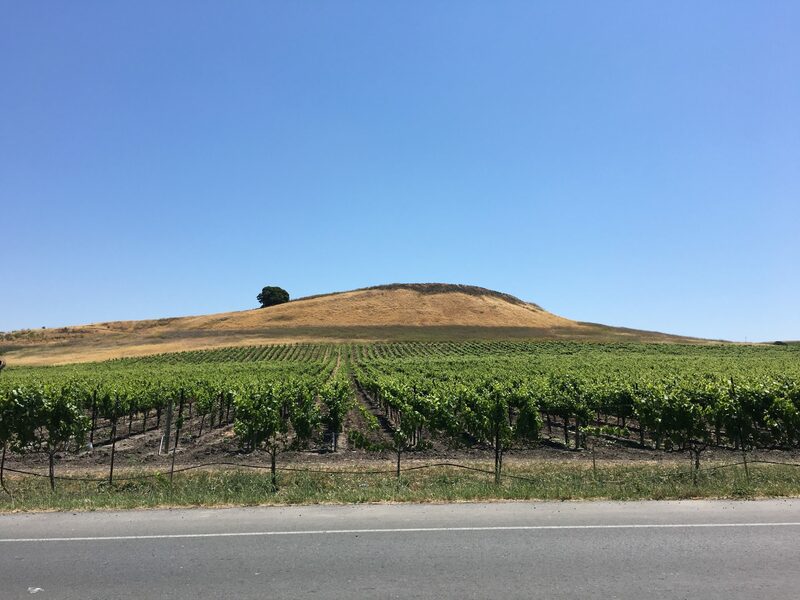 If you’re a foodie or visiting Napa Valley for the first time and want to experience some of the area’s more renowned gourmet restaurants (and there are plenty of those), the Hwy 29 cafe may not be for you. But if you’re looking for a good, hearty, reasonably-priced meal, then this is the place. Great for families too! And if you enjoy your meal as much as we usually do, be sure to spread the word.